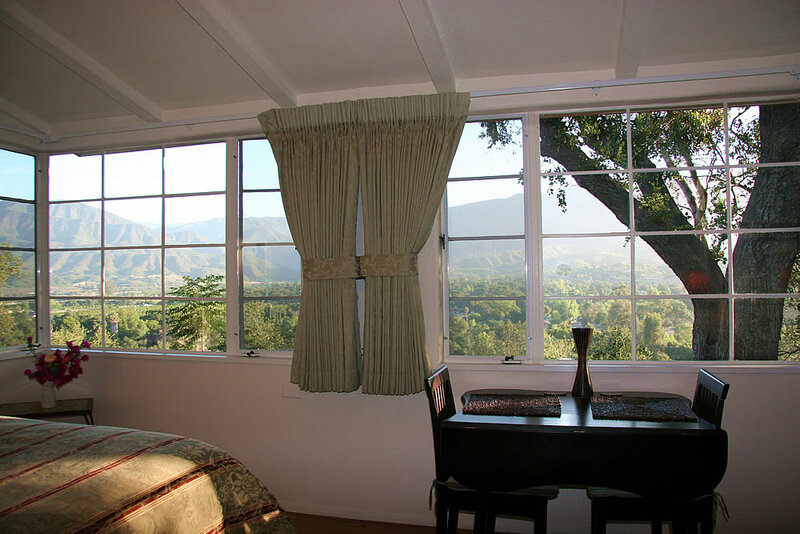 Awaken in the morning to panoramic views from this gorgeous suite’s bedroom which holds a queen bed, writing table and comfortable reading chair. 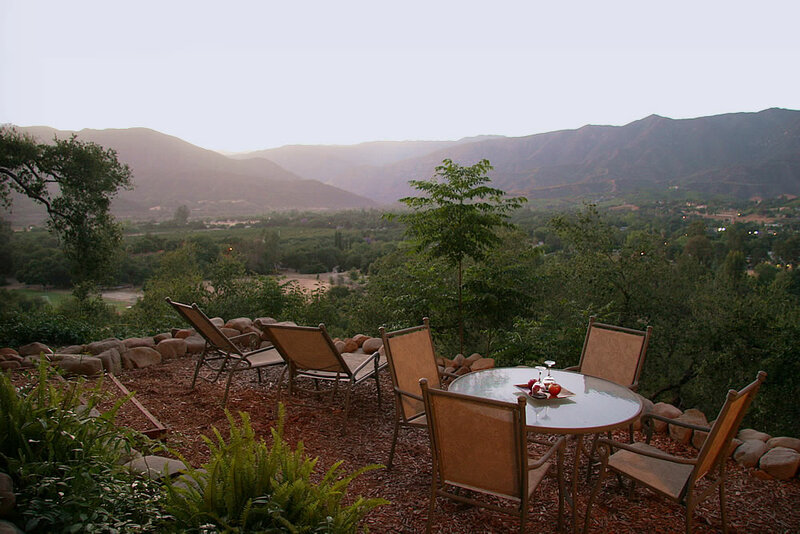 The private terrace overlooks one-of-a-kind mountain and valley vistas. 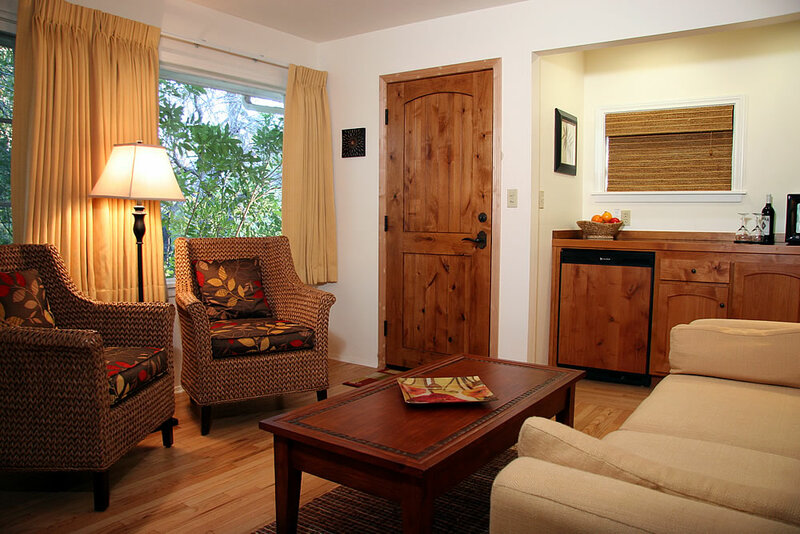 The upper room has a pull-out sofa, lounge chairs as well as a full private bath with full private bath (with bathtub) and garden views all around. First Cottage – See property map.